Domino’s launched an unprecedented Spanish-language campaign highlighting the story of Domino’s franchisee Reece Arroyave He began with handing out flyers, taking calls and making pizzas – and has now reached the height of Domino's franchise ownership at his ten Chicago-area locations. The television campaign begins today, June 27, nationwide and is the first story of its kind for Domino's. "We are so proud to help tell Reece's story, which is one that truly defines what Domino's is all about," said Patrick Doyle, Domino's Pizza president and chief executive officer. "He is one of the many who have worked extremely hard, seized opportunity and are now able to call themselves Domino's franchise owners." Arroyave, who was born in Medellin, Colombia, and raised in Libertyville, Ill., will make his national television debut when the ad begins today. Vodafone McLaren Mercedes has launched a Spanish language version of its official website – engaging millions of native Spanish-speakers and underlining the team’s commitment to creating an increasingly accessible, dynamic and engaging digital presence. The Spanish site – http://es.mclaren.com/formula1 – which launches ahead of the British Grand Prix at Silverstone, is also complemented by a new all-Spanish Twitter feed. @McLarenF1es will replicate the activity of the team’s official feed, @McLarenF1, which recently changed its name to improve accessibility and further enhance reach and engagement. 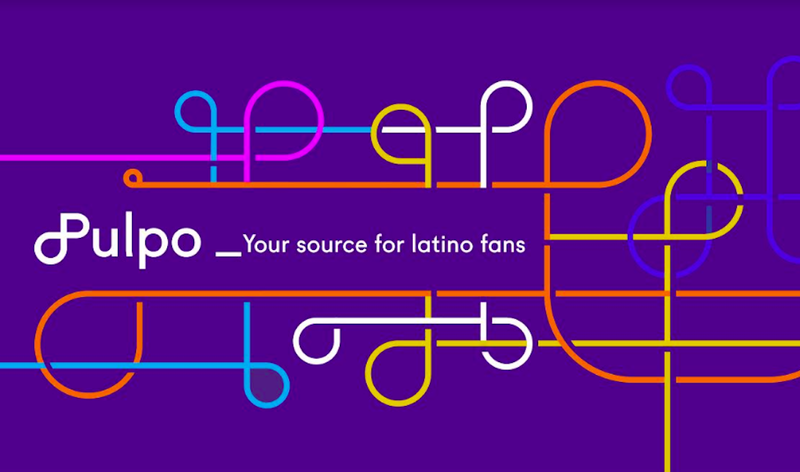 The new Spanish website and Twitter account also reflects not only a significant uplift in interest from Mexico following the signing of Sergio ‘Checo’ Perez, but also the large Hispanic population in the USA who are increasingly activating digital content through mobile devices. Honda is targeting female drivers for its redesigned 2014 Acura MDX sport wagon with the luxury brand’s most expensive advertising campaign yet. Honda is investing US$ 78 million in the media buy. Using the slogan “Made for Mankind,” a female narrates the moody ads showing women hiking a mountain ridge, dancing and interacting with a robot. The 60 second TV commercial debuts during the National Hockey League’s Stanley Cup Finals this month, while the full campaign starts July 7, Tokyo-based Honda said. Honda is betting the ads will boost Acura sales that have fallen 25 percent in the U.S. from a peak of 209,610 in 2005. The advertising was created by Mullen.Gary Robinson, manager-Acura national advertising and brand, called it "the biggest launch in Acura history in terms of scope and dollars ... double what we spent on the RDX." Acura spent $39 million on the national launch of the RDX in 2012, according to Kantar Media. An El Rancho grocery store and a bazaar operated by an Elgin, Ill.-based retailer are planned for the former Kmart shopping center at the southwest corner of Felix Street and Interstate 35, the Fort Worth Star Telegram reports.Now called Felix Square, the Hispanic-oriented grocery store will occupy a 34,000-square-foot building adjacent to a McDonald’s restaurant, and the bazaar will go in the 84,000-square-foot former Kmart, said Luis Pina with Accent Commercial Real Estate in Dallas.Pina, Jake Jordan and a Houston investor, JSCAM, bought the 15-acre site in south Fort Worth, near Interstate 20, in October. Accent is managing and redeveloping the property.Another multi-tenant building on the property will also be redeveloped, Pina said. Those tenants include Family Dollar, Metro PCS, ATI, Azteca Dental, a medical clinic and a construction uniform store. Cars.com, the premier online resource for buying and selling new and used cars announced today the launch of a collaboration with Disney for the soon-to-be-released film, The Lone Ranger. The new drama-filled, action-adventure movie will be in theaters starting July 3. In the meantime, fans can visit www.Cars.com/nodrama for special trailer footage from the movie. "Our media campaign for this year is designed to reach a huge audience of car shoppers--first we kicked things off with the Big Game, more recently with a NASCAR partnership, and now with Disney, one of America's most beloved brands," said Linda Bartman, Cars.com's Chief Marketing Officer. "We've succeeded at building awareness for our new campaign and overall brand since the launch of the new ads, and this Disney integration will continue to keep that momentum going forward." The new integration with Disney follows the format of the site's 15-second commercials, which offer dramatic alternatives to drama-free car shopping on Cars.com. In this collaboration with Disney, shoppers who love drama in the movies can go see The Lone Ranger in theaters, those that hate drama when car shopping can go to Cars.com. From June 24 through July 14, a limited number of promo codes worth up to $13 toward a ticket to the film will be available to fans who visit www.Cars.com/nodrama and watch movie trailer footage from Disney's The Lone Ranger. Fans can also catch special ALL DRIVE. No drama. T.V. commercials and digital ads featuring footage from The Lone Ranger.